Thank you for visiting Story Cabin. We have an exclusive film team based just outside of Birmingham, dedicated to capturing your Wedding moments in a cinematic, story telling style. Our style of wedding video is natural, candid, elegant and with a hint of romance! We pride ourselves in working behind the scenes on the day, as to allow guests to enjoy their day as much as you (the couple!). We have a small footprint with our equipment and we make sure its not blocking anyones view while filming your wedding. More can be read about us in our 'about us' section here. We offer beautiful wedding videos across the UK & Destinations. Our current most visited country is France. We have some exciting new wedding videos coming soon. Some of the locations include Auty, Lot-et-Garonne, Agel, Mouliets-et-Villemartin & Uzès. Be sure to follow us on facebook and instagram by click on the menu button and hitting the relevant social media icon. 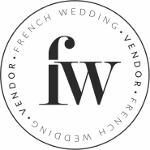 We're an official vendor of French Wedding Style and you can view their website by clicking on the below logo.